Running a field service business takes a lot of concentration, dedication, and organization. With an internal team working to keep everything running smoothly and a team of technicians out in the field on a daily basis, keeping everything in order is no easy task. Fortunately, with the right field service management software, you’ll be able to automate and consolidate dozens of work-related responsibilities, saving you time, money, and energy in the long run. But there are scores of field service management software providers out there, so how do you choose one for your business? Luckily for you, we’ve done extensive research, and found the best field service management software providers on the market for 2019. There are a lot of factors to consider when it comes to choosing a field service management software for your company. From the size of your company to the specific features you need in your industry, it’s important to make sure you’re installing a software that actually can help your business make an impact. 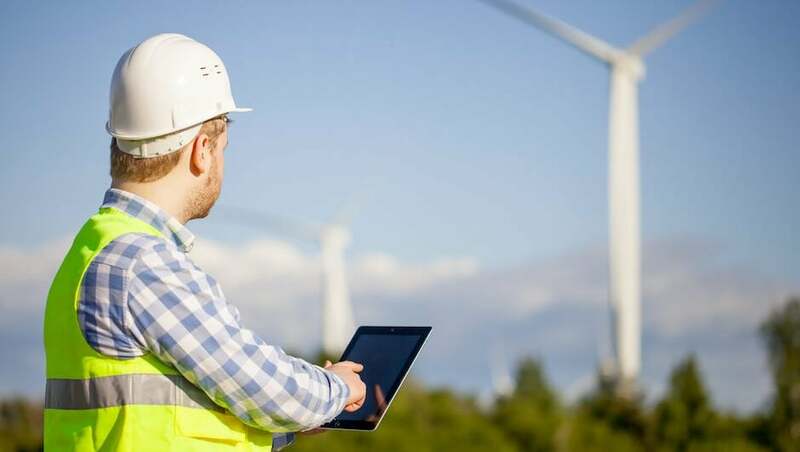 Read on for an in-depth look at these field service management software providers, so you can make an informed choice for your company. 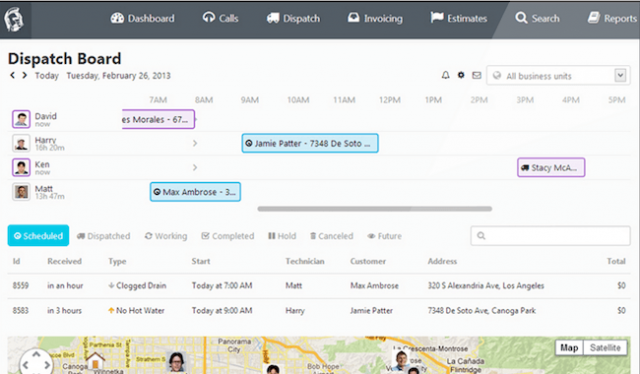 If you’re researching field service management software providers, HouseCall Pro is going to come up. It’s one of the most popular software programs on the market because of its ease-of-use. 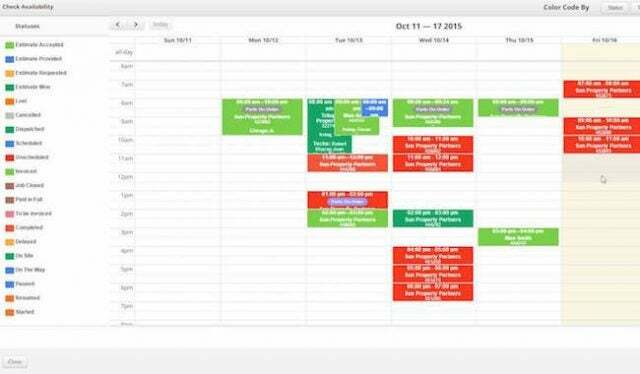 HouseCall Pro provides all necessary features, like scheduling, dispatching, invoicing, and a whole lot more. Plus, with marketing tools built into the platform, you’ll be able to attract new customers and retain current customers without batting an eye. 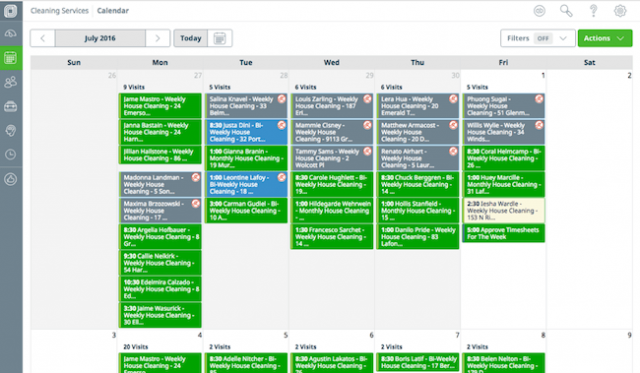 You can’t really go wrong with HouseCall Pro. Yes, if you want a completely customized platform, you might run into trouble. 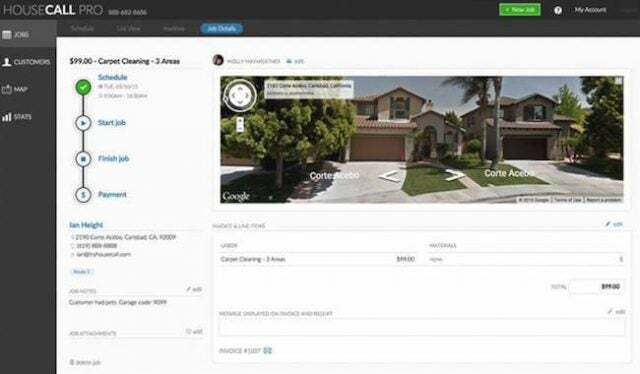 But from an everyday business standpoint, HouseCall Pro has all the features you need, with incredible ease of use, and the added marketing tools to make things a little more interesting. Let’s just say, it’s popular for a reason. If you’re looking for the right bang for your buck, Service Fusion is where it’s at. You’ll be able to get all the fundamentals of a field service software without the high prices or the activation fees. In fact, Service Fusion doesn’t require any contracts either, so you can use the software as much as you want and pull the plug at any time. But you won’t want to, because this software is easy to use, efficiently, and designed to save you money. In so many words, Service Fusion is the most affordable, complete field service software provider on this list. With relatively low price packages and plenty of features to get the job done, it’s kind of a no-brainer if you’re looking to keep costs low. The features aren’t as robust as the other providers on this list, but hey, you get what you pay for. ServiceTitan is built for larger companies. With a massive catalog of features, marketing tools built-in to the platform, and thorough analytics, this software provides everything you need and then some to run a field service business smoothly and productively. Plus, with more than 50,000 customers using ServiceTitan already, you know they’ve got what it takes to handle your company. Yes, ServiceTitan comes in on the more expensive side of the field service management software spectrum, but it’s for good reason. You’re not going to find a more robust software as far as features and added benefits are concerned. However, if you’re a smaller business, you’ll probably want to shy away, as the price is a bit high for a software that you won’t be able to take full advantage of. 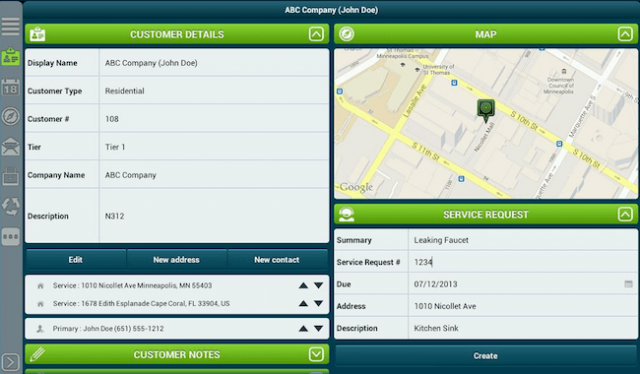 Field service software is a great way to improve your business operations. However, if you’re trying to save time, you’re going to need mobile options to get the job done quickly and efficiently. RazorSync is not only a popular field service software, but it also provides a robust package of mobile options so you can keep track of your team on the go. Plus, by covering a lot more industries than the average provider, RazorSync can manage your company no matter what you do. If you’re prone to running your business on the go, RazorSync is the way to go. It’s missing a few key features found, like the ability to assign multiple technicians to a single order, which can cause some issues. But overall, this software is affordable and easy to use, particularly on the move. Sure, customer service is hard to get a hold of, but when you do, they really know what they’re doing so you won’t need to spend too much time with them. Installing a new software for the benefit of your company can be a bit daunting. No one likes change, but when it can save you this much time and money, you have to do it. Luckily, if you’re a bit apprehensive, Jobber has a thoroughly dedicated customer service team that will hold your hand until you fully understand it. Between the dedicated Client Hub and the 24/7 coverage, you’ll be a field service software expert before you know it, thanks to Jobber. 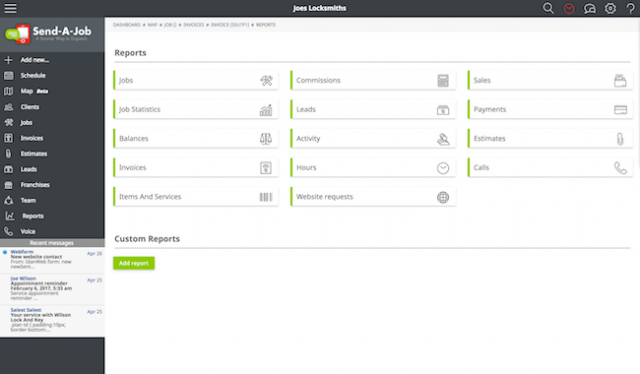 Jobber’s field service software is designed to be easy to use, like all of them are. However, it’s not always that simple, and having a 24/7 customer support team like Jobber’s behind you every step of the way is undeniably reassuring. 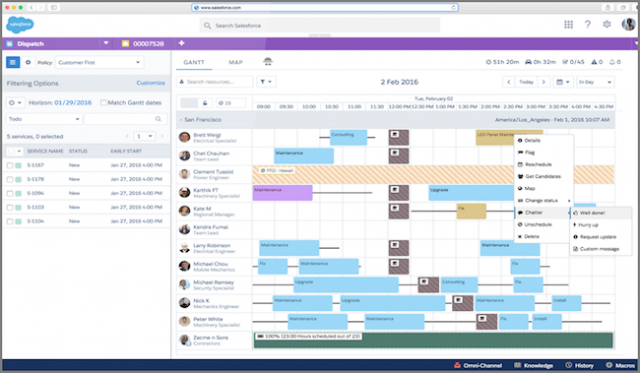 If you truly are worried about how you’re going to manage this new software, Jobber is the way to go, because you’ll have the back up you need to feel comfortable transitioning it into your everyday processes. With mHelpDesk, you’re covered. As another software typically found at the top of field service management software review lists, mHelpDesk offers all the features you need at a price you want, without all the hassle. They help more than 19,000 different field service and repair businesses to manage their everyday work functions, so you know they’re up to the task. Plus, their customer support is widely considered one of their best assets, so you’ll have help along the way. The pricing of mHelpDesk is exclusively based on the size of your company, which means costs can get pretty high if you’re running a larger operation. However, with this many features and added benefits, mHelpDesk is absolutely worth the investment if you have the resources. In fact, it’s often considered an affordable software, because it’s comparatively so robust. Just make sure you know exactly what you’re getting before you buy with one of their free demos. In the field service industry, getting the job done is the most important thing. With Send A Job, you’ll be assured that the job is taken care of every time. With simple features, low prices, and easy-to-use interface, Send A Job is the safe, reliable choice for field service software. Granted, it doesn’t have some of the flashier features that can help your company grow, but it will handle your current work processes easily and affordably. Reliability is a priority for every field service business. And if you can do without all the added tools and flashy features, Send A Job is right for you. It can be counted on to run smoothly every day, so you can guarantee your work on a regular basis. Sure, you might miss the GPS tracking, or pine for the marketing tools to grow your business. But you’ll be organizing your current business for an affordable price. Can’t beat that. There’s nothing better than teaming up with a huge company with resources to spare, and Salesforce is one of those companies. With all their clout and authority, they turned Field Service Lightning into an intelligent platform designed to make running your business easier. Their AI-powered solution offers technicians image-recognition technology that helps them know exactly what to bring on each job, increasing the number of first-visit repairs, and cutting down on the need for return visits. 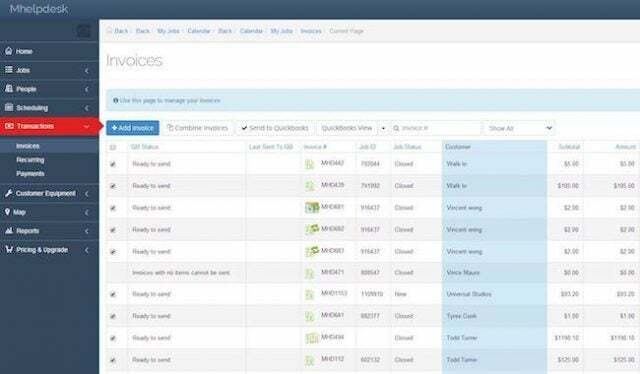 Field Service Lightning is exactly what you’d expect from a big company like Salesforce. On the one hand, the platform is filled with helpful features. On the other, everything is designed through the lens of a corporation. Customer support is 24/7, but getting a real person on the phone is almost impossible, an integral aspect of making sure customers know how to use the software. It’s a good choice, but far better for those of you who have used field service software before. Hopefully, we’ve now helped you narrow down which field service management software you’re going to get for your company. Whether you’re a small operation looking to organize your day-to-day operations or a large company hoping to expand productively, these software applications are your ticket to a making an impact in your industry. However, if you want the full picture, you’re going to need to get a customized quote today. Understanding how much it will cost your specific company is integral to making the right decision. Our simple form can help you go from apprehensive to excited about improving your business with a field service management software, in a couple of clicks.